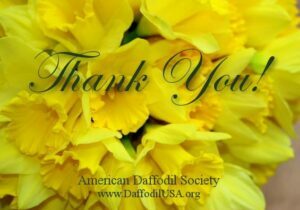 The following is a list of awards presented at ADS-Approved local, regional and national daffodil shows. Information is given for the daffodil(s) winning the award and where recorded, the exhibitor. It also includes the location and date of each show. For some years, the information has been combined from the ADS Show Reports submitted by the Show Chairs to provide information for the entire year. This information is presented in two formats: as a searchable, read-only PDF file and an Excel file which you can download if you choose to do your own analysis. The information is given in two files: one is the data about winning flowers, etc., and the other gives information about the number of entries, and the number of exhibitors, in horticulture and photography.